Teresa is a registered Chinese Medicine Practitioner (Acupuncturist) and is a member of the Australian Acupuncture and Chinese Medicine Association (AACMA). Her primary area of clinical focus is pain management. 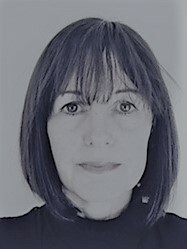 Prior to acupuncture training in Australia, she lived in England (UK) and worked for the National Institute of Health and Clinical Excellence (NICE) as an Information Specialist. Previous to her position at NICE she worked as an Information Officer for the Health Development Agency and, Administrator to its predecessor, the Health Education Authority. Teresa’s past career is integral to her work as a registered health practitioner and believes health education is an important part of treatment. Furthermore, recognising the need to apply evidence-based healthcare within her practice. A main objective is to develop professional working relationships with other registered health professionals. As such she sees her Acupuncturist role as being an adjunct to those working in the medical profession.